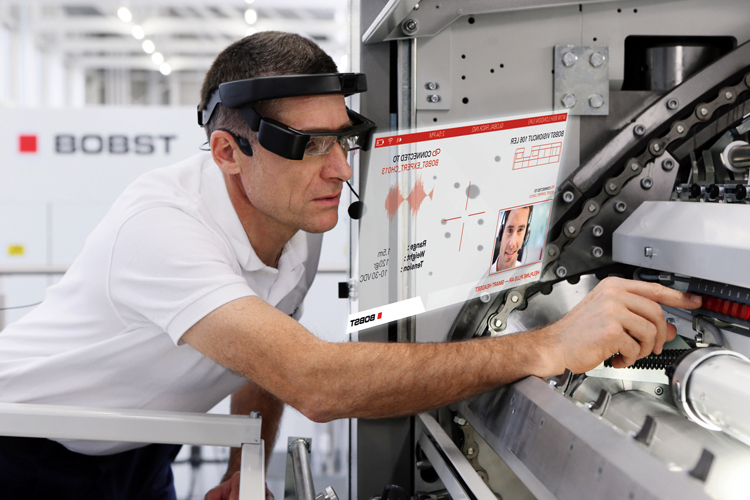 BOBST – one of the world’s leading suppliers of equipment and services to packaging and label manufacturers – today announced the launch of ‘Helpline Plus AR’, the first ever remote assistance service in the packaging industry to incorporate a smart headset with augmented reality (AR) glasses. Customers requiring technical assistance can wear the smart headset and connect with experts who can simultaneously see what the user sees and offer advice and support in real time. BOBST is the first company in the packaging industry to introduce state-of-the-art remote assistance in augmented reality.